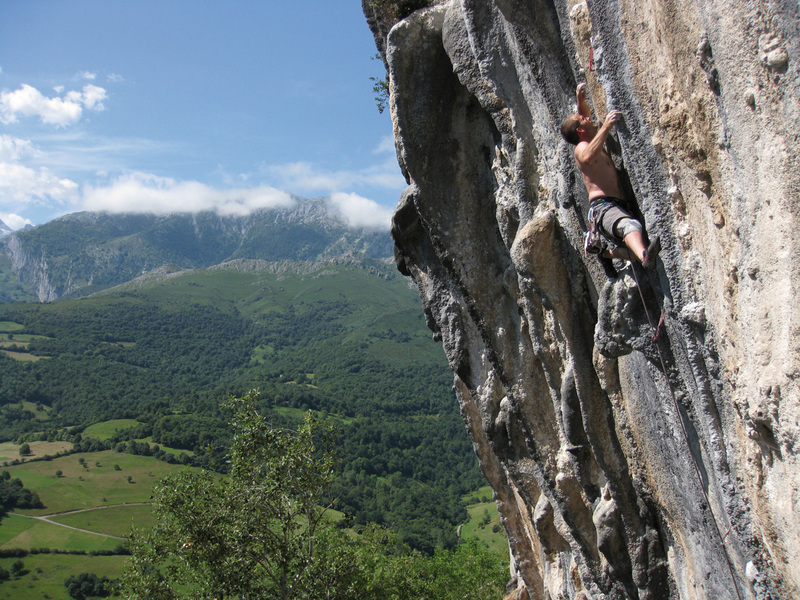 Asturias, Cantabria and Leon, (the areas covered in Roca Verde) are areas covered in limestone walls of all shapes and sizes and host to a fantastic selection of accessible sport-climbing venues. Well bolted and cared for by a committed local climbing population these are fantastic areas for all-year-round climbing. 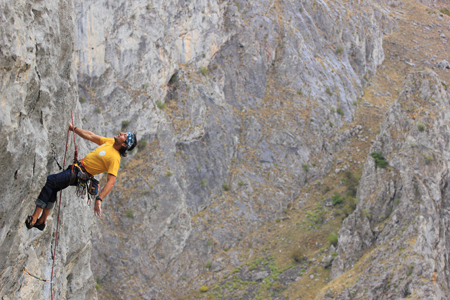 Roca Verde contains over 50 selected crags that contain over 230 distinct sectors and nearly 3500 routes! Importantly, it includes the information the locals know; how to choose the right venue for sun or shade, summer or winter and for whatever grade you climb. Check out some free topos here. Below is a brief overview, region by region, of the areas we cover in our new guidebook. Centro – Closest to the capital, Oviedo, and mainly smaller single sector venues but also includes the very popular and larger crag of Otura and the newer sectors of Rioseco. Valles del Trubia – Contains the major venues of Teverga and Quiros, both amazing venues each with a multitude of sectors and hundreds of routes. Nalon Valley and Aller – Contains very popular steeper crags like Cueva Boyu and Rioseco as well as the the more all-round venue of Pelugano and the impressive Cuevas. Oriente – Almost all in the shadow of the Picos there’s the jewel of Poo de Cabrales with its fantastic tufa routes as well as a wealth of smaller venues that are well worth a visit. 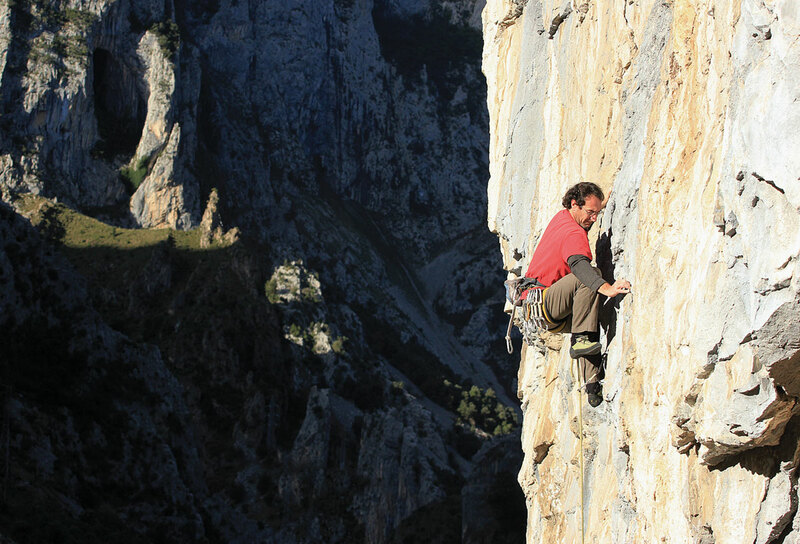 Roca Verde is a guide to the climbing in ‘green Spain’…can you see why? Desfiladero de La Hermida – The steep-sided Desfiladero de La Hermida, forms the border between Asturias and Cantabria. Running south to north it’s the major thoroughfare into the heart of the Picos. Rugged and still relatively untapped, there are quite a few high quality sport-climbing venues, perhaps the best of them being the gem of the tufa-strewn Rumenes. This is the first time this climbing area has appeared in any guidebook either in Spanish or English. 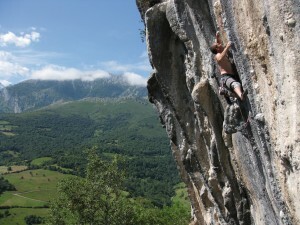 León – The climbing here, although over the mountains is all very close to Asturias as the crow flies and can be reached in less than an hour from many parts of Asturias. Again, all limestone, the similarities end there as the Leonese climate is that of the desert, dry and hot during the day and cold at night. Thus the classic venue of Valdehuesa or the newer crags at Hoces Free offer a very reliable alternative when there’s rain in Asturias.